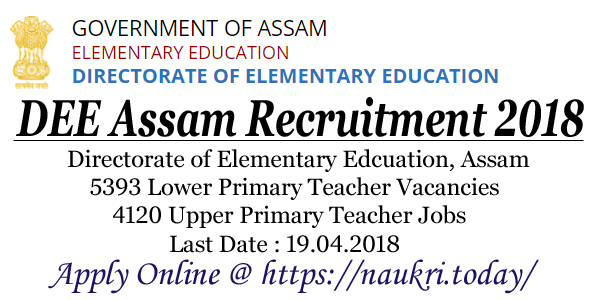 Directorate of Elementary Education, Assam has issued notification for recruiting candidates on 4120 Upper Primary Teacher Vacancies. Applicants who are interested in DEE Assam Recruitment can fill online form forUP Teacher Vacancies from here. This is great job opportunity for those contenders who are searching DEE Assam Vacancy Notification. Closing date for submit DEE Assam Up Teacher Online form is 19.04.2018. Rest of details about UP Teacher Bharti you can check from below article. Assam DEE Department is inviting online form for filing 4120 UP Teacher Vacancies. Online registration for DEE Assam Jobs will started from 26.03.2018. Applicants who are searching Assam DEE Jobs, this is great chance to fill online form. Before submit online application must check required eligibility criteria from here. Full information about Education, Age & Pay Scale for DEE Assam Up Teacher Recruitment you can collect by reading the below section. What is the Required Eligibility Criteria For DEE Assam Recruitment 2018 – Upper Primary Teacher Bharti ? How I Check Application Fees, Pay Scale & Selection criteria For Assam Upper Primary School Teacher Jobs ? How Much Pay Scale will paid for DEE Assam UP Teacher Recruitment 2018 ? How I Fill Online Form For DEE Assam recruitment 2018 – Assam UP Teacher Jobs Online Form ? Applicants in this section we are providing Subject wise division of DEE Assam Vacancies. 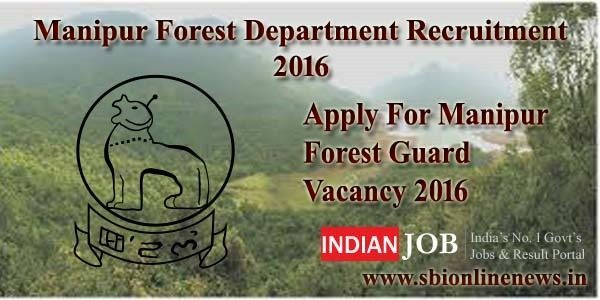 You can also check more details about Assam DEE recruitment from official notification. If you are going to fill online form for DEE Assam UP Teacher Recruitment then check required Education & Age Criteria From here. In the below section all details about Eligibility Criteria is mentioned. Further details you can collect from official notification. Candidates must have done Bachelor’s Degree in respective Trade and TET and 02 years Diploma in elementary education or B.Ed. in respective trade. More details about Education for Subject wise Vacancies from DEE Assam Assistant Teacher Jobs Notification. Minimum age of the candidates for Assam DEE Recruitment must be 18 years & Upper age must be 38 years as on 01.01.2018. Relaxation in age for DEE Assam Vacancies is applicable up to 05 years for SC/St category & For other category you can from notification. Candidates of SC/ST category must paid Rs. 150/- & Other Category candidates need to pay Rs. 200/- as application fees for DEE Assam Recruitment 2018. Candidates of BPL category are exempted from paying application fees. Selected candidates for Assam DEE Vacancies will paid a good salary as per organization norms. After joining candidates will paid Rs. 14,000/- to 49,000/- + Grade pay for DEE Assam Upper Primary Teacher Vacancies. Candidates will selected for DEE Assam recruitment 2018 on the basis of Department Exam Scheme. You can check Selection Criteria & exam pattern for Assam UP Teacher Bharti from official advertisement which is mention below. Eligible & interested candidates for DEE Assam Vacancies can fill online form here till the closing date. Read the below steps which is helpful for filling online form for Assam DEE UP Teacher Vacancies. First of all candidates log on to the official website www.dee.assam.gov.in. Now click on Recruitment section & Read DEE Assam Jobs Notification. Fill all required information in online form. Now deposit application fees & Recheck all details before submission. Conclusion : DEE Assam Recruitment 2018 for 4120 UP Teacher Vacancies. candidates can fill online form for DEE Assam Vacancies on or before the last date 19.04.2018. Check more details about Upper Primary Teacher Jobs from above article. Are you looking teaching vacancy in Assam State???? Do you search DEE Assam Recruitment 2018 ???? If yes, then here is a good news for you. Director of Elementary Education, Assam has recently published recruitment notification for filling up 5393 Assistant Teacher Vacancies. Applicants who are interested to job in Lower Primary schools may fill DEE Assam Assistant Teacher Online Form. The Assam DEE online application form available from 26.03.2018. Applicants may apply online for DEE Assam LP Teacher Vacancy 2018 before on 19.04.2018. Education Department of Assam and DEE Assam is inviting online application for filling up 5393 LPS Assistant Teacher Post. Candidates who are searching teaching vacancy, this is a good opportunity for them. DEE Assam Jobs for LP Teacher Vacancy Online Form are available here. Applicants who find difficulties who to fill DEE Assam Teacher Vacancy form, can apply through direct link. Furthermore details like eligibility criteria, application fees, selection procedure and how to apply are mention below. Aspirants who are going to fill DEE Assam Lower Primary Teacher Online Form, must ensure that they are eligible or not. If applicants found not eligible they can’t attend fill the form. So before apply all applicants must check eligibility details. It comprises education qualification, age limit and others. DEE Assam Recruitment 2018 eligibility criteria is mention on below section. Applicants should passed Senior Secondary Examination or its equivalent with 50% marks. Applicants also have 2 year Diploma in Elementary Education. For DEE Assam Vacancy 2018 candidates also passed Assam Teacher Eligibility Test for LPS. Furthermore check Assam DEE Notification 2018, which is also available on below section. As on 01.01.2018 candidates should not be less than 18 years. The maximum age require for DEE Assam Assistant Teacher Recruitment is 38 years. Upper Age relaxation is also applicable. SC/ST/PWD candidates will get 05 years relaxation as per norms. Candidates who are going to fill online form must have information about application fees. Applicants also have knowledge of selection criteria. Check below section form more details. Applicants selection will be made according to marks obtain on Assam TET. Furthermore you should check DEE Assam Job Notification 2018. General & OBC Participants need to pay Rs. 200/- towards application fees. While SC/ST candidates have to pay Rs. 150/- as an application fees. BPL candidates are not need to pay any fees. DEE Assam Recruitment fees should be pay in the form of Indian Postal order. Please mention name of Director of Elementary Education, Assam, Kahilipara, Guwahati-19. Furthermore check Assam DEE Job Notification. Applicants who are interested and also fulfill given above eligibility criteria may apply through online mode. Applicants who have problems with filling online application form of DEE Assam Jobs can follow given below steps. Firstly log on to the official website dee.assam.gov.in. After that go to recruitment section. Download DEE Assam LP Teacher Recruitment Notification. Read it carefully and then again visit to the site. Go apply online for DEE Assam Recruitment 2018 for Lower Primary Schools Teacher. Fill all required information like TET roll no., dob, name, educational & others. Upload all required documents. DEE Assam Vacancy list of required documents mention below. Submit Education Department of Assam Job application form. Keep unique registration no. and hard copy of form for future reference. Conclusion : DEE Assam Recruitment 2018 for 5393 Assistant Teacher Vacancy in LPS. Applicants who are interested and deserving also may apply through online mode. DEE Assam LP Teacher Recruitment form available from 26.03.2018. Candidates may fill the online application form on or before 19.04.2018. Directorate of Elementary Education (DEE), Assam is inviting application for Assistant Teacher Vacancy through DEE Assam Recruitment 2017. 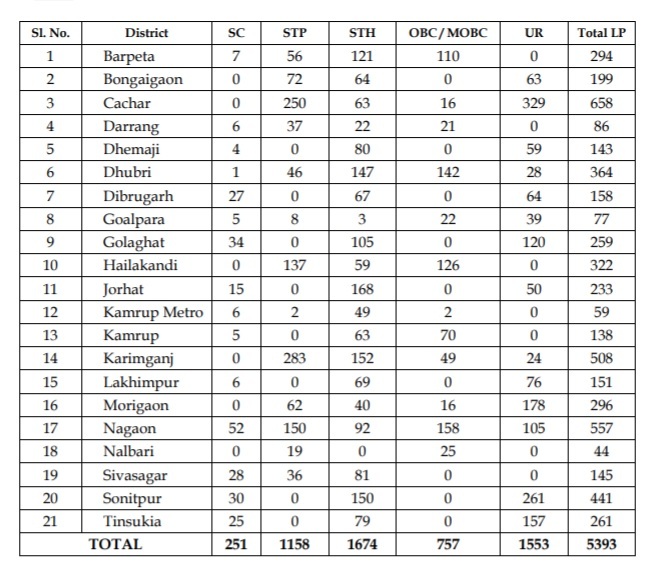 There are 3088 posts of Lower Primary Assistant Teacher and 2939 Upper Primary Assistant Teacher. Candidates, who fulfill prescribed eligibility criteria like age limit, educational qualification, and other eligibilities criteria as given in LP & UP Teacher notification. Eligible Applicants can online apply for the Assam DEE Assistant Teacher Jobs before the last date i.e 30.04.2017. About DEE Assam : Directorate of Elementary association Assam (DEE) which is the recruiting the talented candidate through document verification. DEE Assam Recruitment 2017 for 6027 Lower primary and the upper primary assistant teachers in the schools in the state of Assam. This will be a good opportunity for the candidates who were waiting for Assam Govt. Jobs in Teacher Field. We advise every candidate to check the DEE Assam Assistant Teacher Vacancy 2017 notification on this page. Documents Verification Date : 05.06.2017 to 20.06.2017. Candidates must have should have done equivalent with qualified TET Examination and Diploma in Elementary Education/B.Ed./D.Ed (Special Education)/B.Ed (Special Education) for Assistant Teacher Posts. 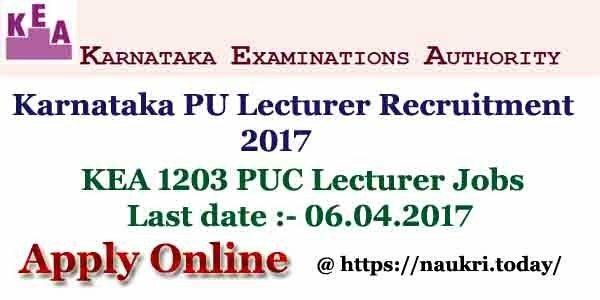 For Other qualification criteria details refer official notification. Applicants age limit should have minimum of 18 years and maximum age limit 43 years as on 01st Jan 2017. Age relaxation to the reserved category candidates will be applicable as per govt. rules for DEE Assam Teacher Jobs. Rs.200/- for General/OBC category candidates. Rs.150/- for SC, ST category candidates. The Application fee should be pay through IPO (Indian Postal Order) in favour “Director of Elementary Education, Assam” for DEE Assam Teacher Recruitment. Selected candidates for the vacancy of DEE Assam, will be paid of Pay Band II Rs.5,200/- Rs.20,200/- plus Grade Pay for Directorate of Elementary Education, Assam Recruitment/ Assistant Teacher Vacancy. Candidates will be selected on the basis of documents verification conducted by Directorate of Elementary Education (DEE), Assam for DEE Assam Asst. Teacher Jobs. Mark sheet of H. S. (Senior Secondary) / Graduation Examination. Pass Certificate of H. S. L. C. / H. S. L. C. Admit Card in support of age. Certificate and Mark sheet of TET. Mark sheet and Certificate of DElEd/B. Ed./D. Ed. (Special Education)/ B. Ed. (Special Education). Certificates in support of Schedule Caste / Schedule Tribe (Plains or Hills) / OBC/ MOBC. Candidates who wish to apply for DEE Assam Recruitment 2017 need to visit official website www.lpupteachers.com. Fill the online application form as per guidelines provided in notification ,deposit the application fee. After successful submission take a print out of submitted application form for further process of this recruitment. At Firstly candidate logon the official site of Assam i.e. www.lpupteachers.com. If Applicants are eligible then, they are click on the application form. Upload your required documents and your photo. Pay category wise application fee. Conclusion : DEE Assam Recruitment 2017 Directorate of Elementary association Assam for 6027 Assistant Teacher Vacancy. Interested candidate should apply this DEE Teacher Jobs before the last date 30th April 2017. We are providing here for all the details related to Assam DEE 6027 LP | UP Assistant Teacher Jobs Notification.